The MH Series employs customized Magnesium based chemical solution to address SO3 slagging and fouling issues for a range of oil fired units improving heat transfer efficiency and reducing air emissions. 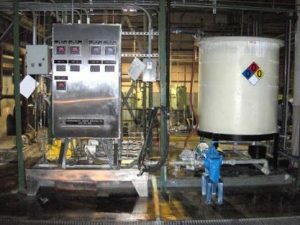 Fuel supply and regulatory standards continually present new and unique challenges for boiler operations. EES is able to provide technologies to accommodate your plant and meet these challenges.